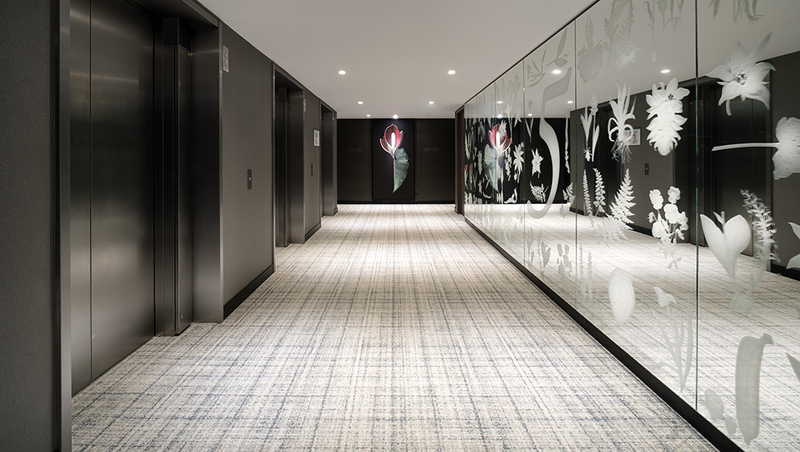 Rive Roshan is an experimental design studio working on the cusp between graphic, interior and product design. 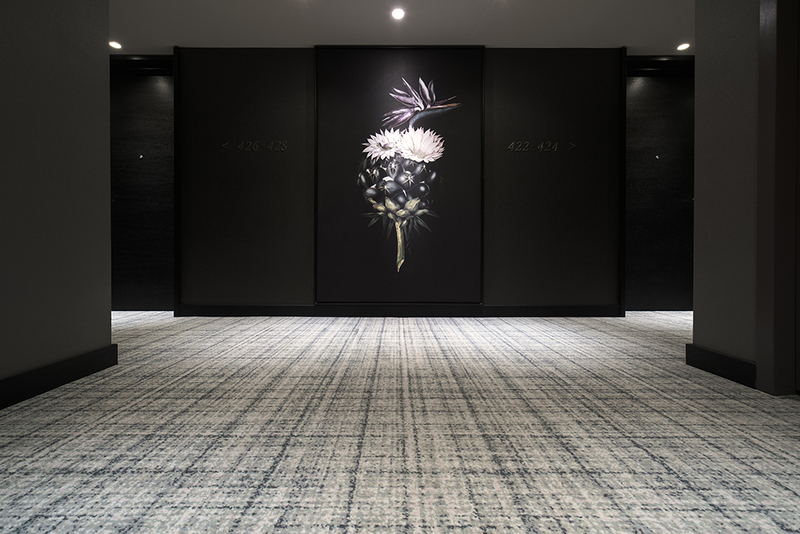 The studio is run by Dutch designer Ruben de la Rive Box and Iranian-Australian designer Golnar Roshan. 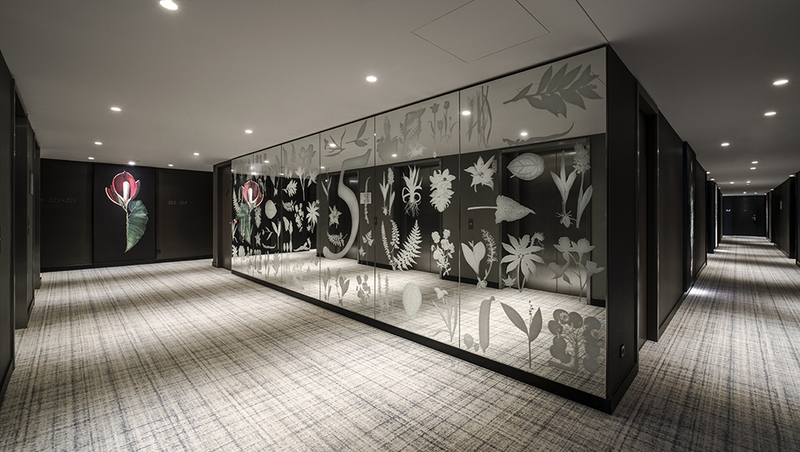 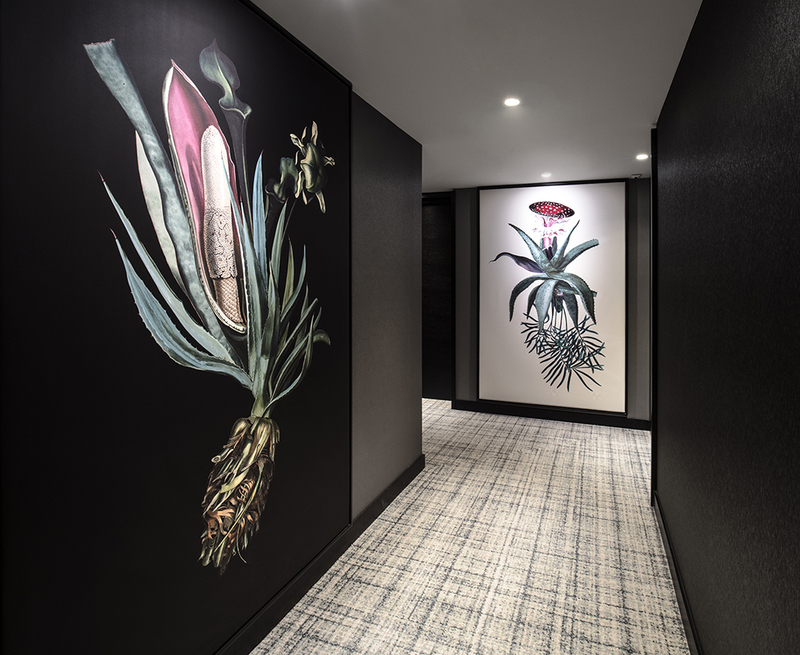 For the Hyatt Regency hotel, in the heart of Amsterdam’s lush Plantage neighbourhood, Rive Roshan envisioned a fantastical future of botanics for the hotel’s guests to experience. 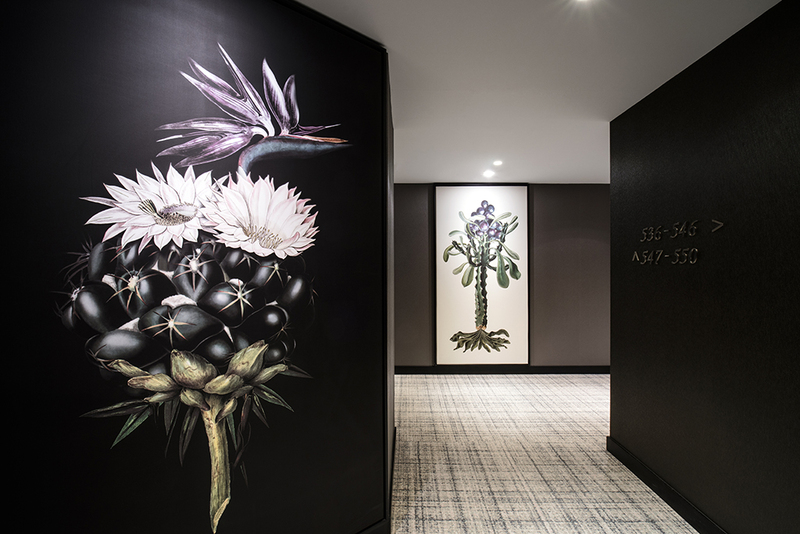 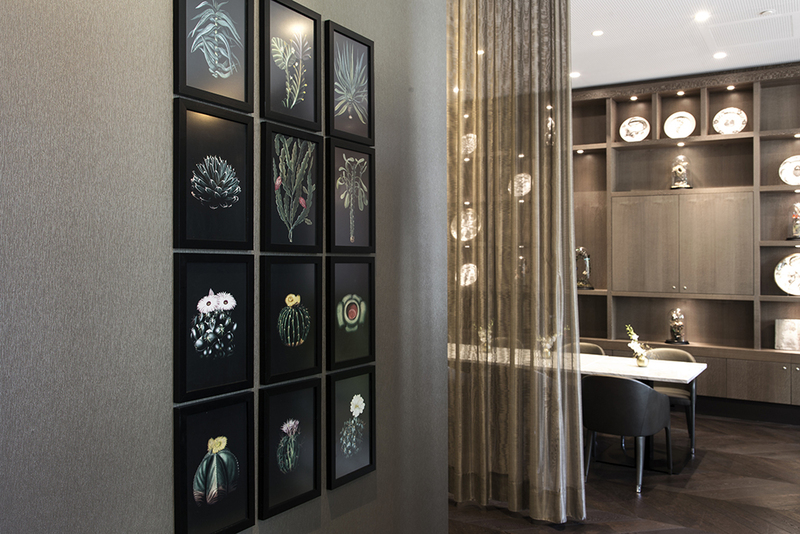 Drawing from history and the hotel’s location – just steps away from the Hortus Botanicus, one of the oldest botanical gardens in the world – the studio conceptualised theatrical artwork for the interior of the hotel. 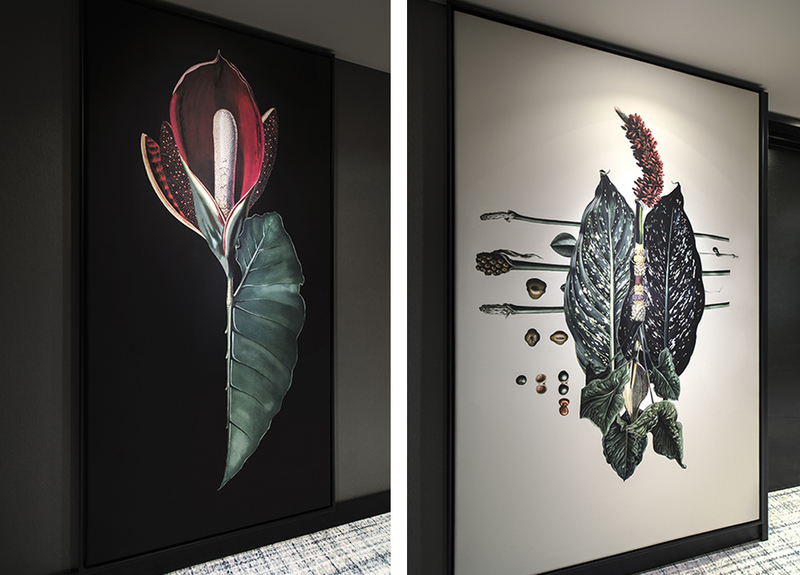 From 17th Century Amsterdam, when rare species of plants were brought back to the city by traders and travelers, came the idea of five distinct characters: the Scientist, the Traveller, the Collector, the Romanticist, and the Dreamer. 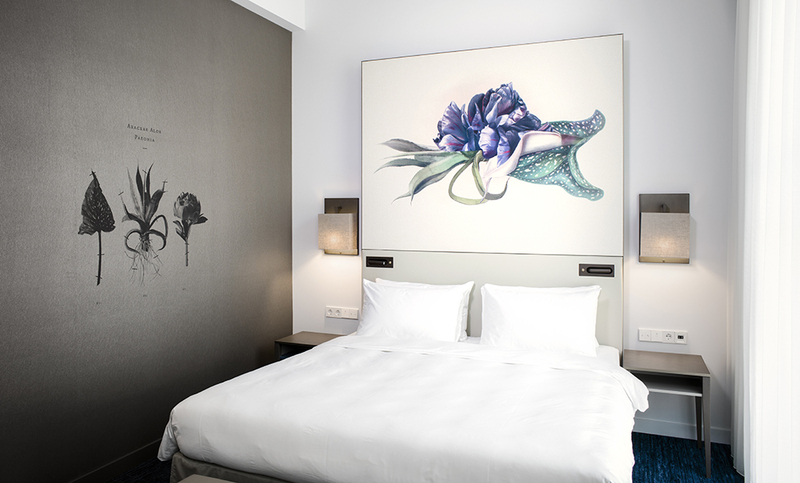 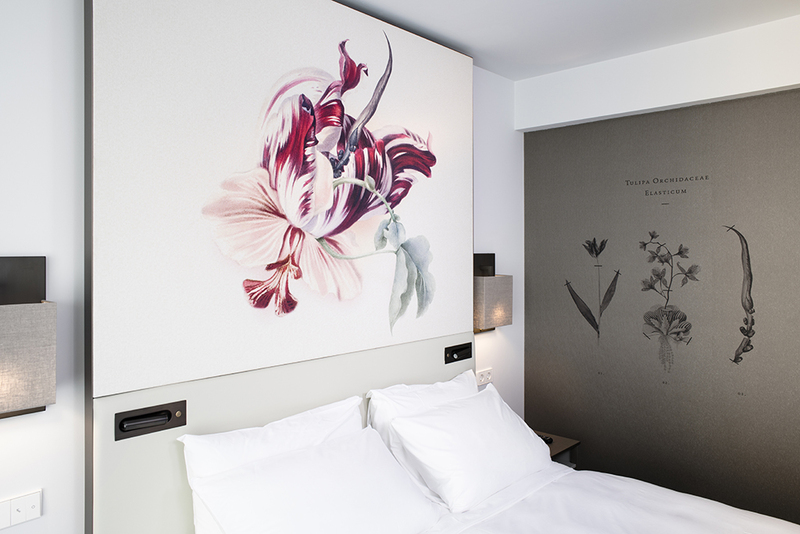 Spaces and artwork in the hotel were designed to respond to these poetic personalities. 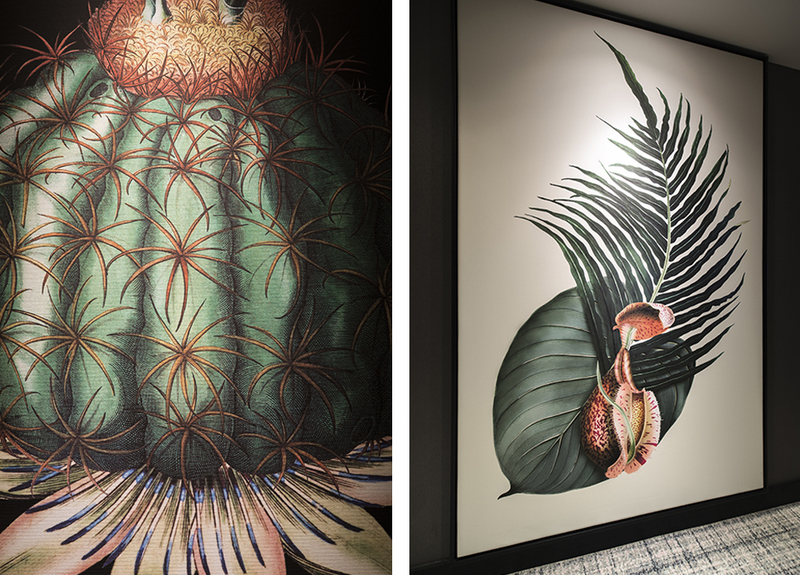 Walls, flooring, and mirrors exhibit magnified interpretations of traditional botanical illustrations. 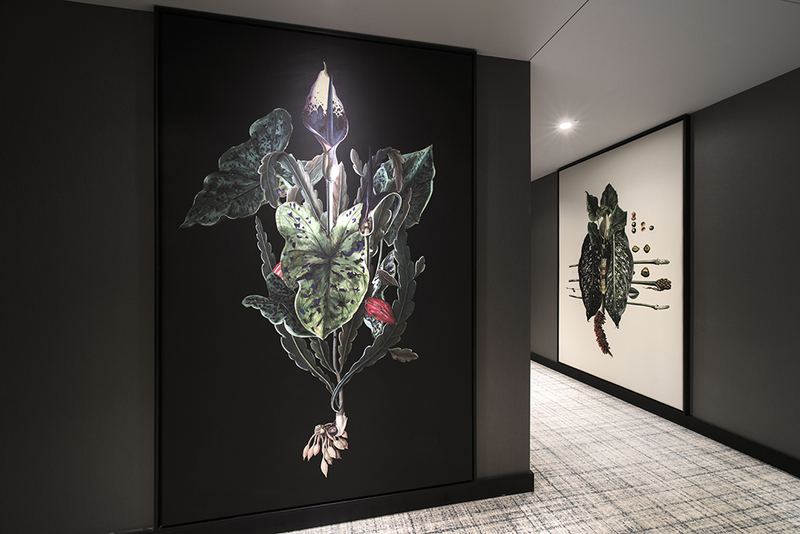 With these drawings as a starting point, the studio experimented with a variety of physical and digital techniques, materials and hues. 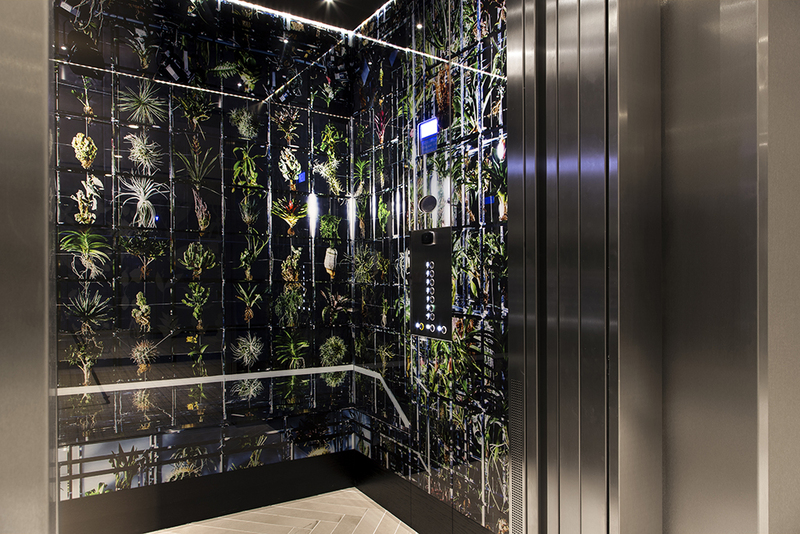 The result was a series of dramatic visuals bringing the spirit of both history and future to life.